What types of support do your residents need to exit federal rental assistance programs? 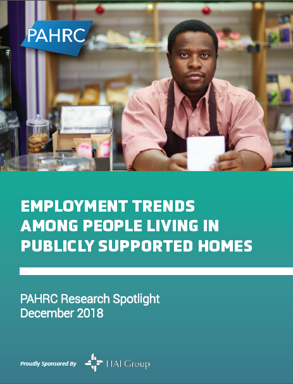 New research from the Public and Affordable Housing Research Corporation (PAHRC) finds that most residents who can work are, but they’re employed in our lowest-wage jobs and need training and childcare to access better-paying jobs. The research, including conclusions about policies that would have the biggest impact on helping people achieve economic independence, is outlined in our latest report, Employment Trends Among People Living in Publicly Supported Homes.